Some people think hummus is disgusting (and I totally respect their opinion), but me...I prefer "delicious." Consider some of the flavors: Garlic, Roasted Red Pepper, Artichoke. Yes to all. And there are so many brands to choose from, most of which produce a pretty decent tub. Let's be honest, though. 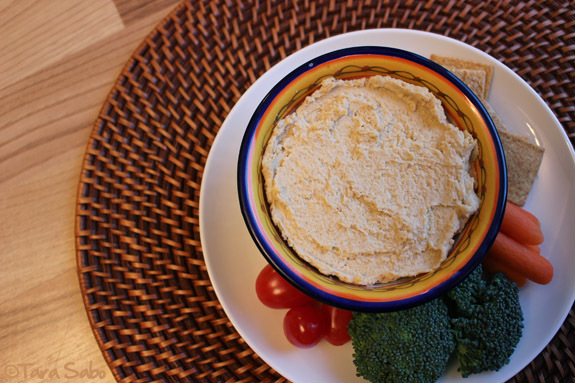 Hummus is super easy to make. I swear. Even the novice I-can't-scramble-eggs type of cook can make hummus. And tahini is the main reason I haven't been making my own lately. It can be expensive, y'all. What is it? A simple paste made from ground sesame seeds. But it can run you, like...$9.00/jar if you let it. I know, I know. It's an investment when you consider the cost of pre-made hummus, which can run you upwards of $5.00/tub. But still, that initial sticker shock gets me every time which leads me to the quick-fix tub of the ready made stuff. You guys, if you live by a Whole Foods, you really seriously have to start making your own hummus (I mean, if you think it's delicious and not disgusting). Chickpeas cost, like...what...88 pennies a pop? And then all you really need is what you've probably already got on-hand (unless you want to go crazy with flavors). 1) Rinse and drain the beans. Some like to remove the skins for a smoother finish, but I leave mine on. 2) Throw everything except the EVOO into your food processor and process until it begins to form a paste, then add your drizzle of EVOO. 3) Add a touch more EVOO if need be until it reaches a consistency you like. 4) Eat...no, seriously. That's all you have to do. If you choose to thrown in extras like roasted red peppers or artichokes, literally just throw them in with everything else. You could also add some salt and pepper to taste. I just, you know...kept mine simple. The whole process took maybe five minutes. 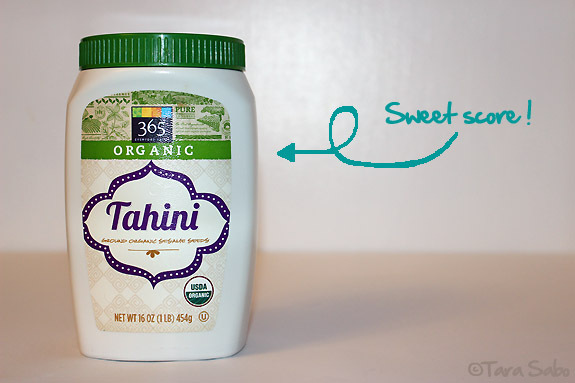 Here's the math that'll blow your mind: There are 16 ounces in this jar of tahini. That's about two cups. 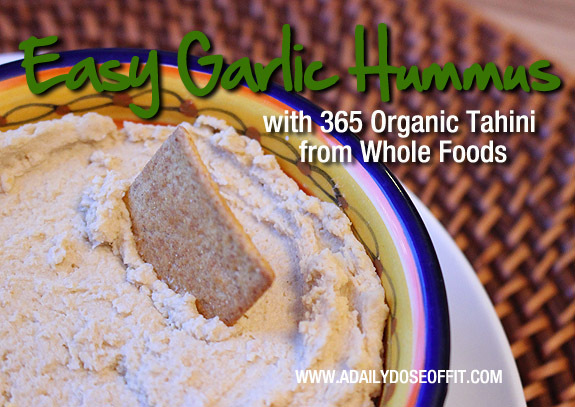 If you use 1/4 cup of tahini per batch of hummus, that means you can make about 8 batches of hummus on $4.99/jar. That's, like...62 pennies a batch. Well, add in the cost of your beans, and you'll up it to $1.50ish a batch. And I just want you to know one more thing: Whole Foods didn't ask me to write this post. You guys know I go there all the time in search of new and exciting things to try. It seemed only right that I fill you in on this one. Question: What should I buy next time I visit Whole Foods? What are some of your favorites?